Zara is currently a B.Sc. 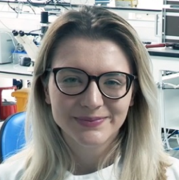 student at Glasgow Caledonian University, UK, studying Cell and Molecular Biology. You can contact her on LinkedIn. The UK life science sector has an estimated £60.7bn turnover. However, its productivity is lower than the USA and drug attrition rates remain above 80% in some sectors. The majority of novel therapies fail at clinical trial[2,3] and the return on R&D investments in the UK has fallen to the lowest level in nine years. This is true despite the dramatic improvements in speed and throughput of drug screening thanks to technological advances. If this trend continues, it is predicted that return on R&D investments with stand at 0% by 2020. Both academia and industry agree that a lack of relevant pre-clinical models represents a significant issue, yet researchers are limited by poor access to UK Biobanks. A further limitation is ineffective data sharing in the UK, which our pool of highly skilled Artificial Intelligence (AI) scientists depend on. The MDC is a non-profit organisation that aims to tackle the key issues highlighted by UK R&D professionals. Their State of the Nation report launched in January 2018 details the challenges currently faced by the UK’s drug discovery landscape according to interviews with over 100 company managers. The primary aim of the MDC is to decrease the cost of novel drug development by connecting the UK R&D community through a shared vision: improvement of patient outcomes through the development of novel medicines. Partnership companies range from academic institutions, such as the Medical Research Council (MRC), to global pharmaceutical companies like AstraZeneca. Already, collaborations established by the MDC have matched five SMEs with relevant human tissues for their research and have improved the efficiency of compound libraries through the application of AI. The five strategic areas the MDC aims to fulfil are highlighted below. Source: MDC & UK BIA, 2018. As part of our collaboration with the MDC, REPROCELL have pledged to provide custom drug discovery assays using live human tissues. Improved access to human tissue and stem cell technologies will reduce late-stage failures, as human tissue models more accurately predict the safety and efficacy of drugs than their animal counterparts[2,9]. Elimination of unsuccessful compounds earlier in development would significantly reduce the cost of developing novel treatments and improve R&D productivity. By humanising drug discovery, the UK has the opportunity to differentiate itself from global competitors and enhance returns on R&D investment. You can keep up to date with the MDC via their website, where you can download the full 2018 report. To find out more about the MDC and its aims, you can watch an interview with the programme CEO, Chris Molloy below. HM Goverment, 2012. Strength and Opportunity 2015: The landscape of the medical technology and biopharmaceutical sectors in the UK [report, PDF]. REPROCELL, 2019. REPROCELL join Medicines Discovery Catapult’s Virtual R&D network to accelerate drug development [press release]. DW Thomas, J Burns, J Audette, A Carroll, C Dow-Hygelund & M Hay, 2015. Clinical Development Success Rates 2006-2015 [report, PDF]. Deloitte, 2018. Unlocking R&D productivity: Measuring the return from pharmaceutical innovation 2018 [infographic]. Medicines Discovery Catapult (MDC) & UK Bioindustry Association (BIA), 2018. 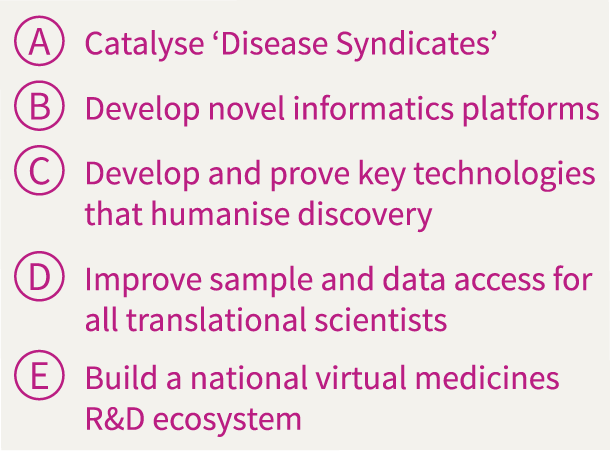 State of the Discovery Nation and the role of the Medicines Discovery Catapult [report]. Scott K, 2017. Pharma’s broken business model: An industry on the brink of terminal decline. Medicines Discovery Catapult (MDC), 2019. Helping UK SMEs access tissue samples: a collaboration with Tissue Solutions. Medicines Discovery Catapult (MDC), 2019. Harnessing the power of AI to focus compound collections: a collaboration with BioAscent. Jackson SJ, Prior H & Holmes A, 2018. The Use of Human Tissue in Safety Assessment [Journal article].